Yaroslava (Yasya) Babych was born in Ukraine. Studied at the University of Kyiv-Mohyla Academy in Kyiv, then continued her education in the US. In 2000 received Bachelor of Arts degree from Franklin and Marshall College with a double major in Economics and in Philosophy. She graduated with Ph.D. in Economics from the George Washington University in Washington, DC in 2011. She is the Head of Macroeconomic Policy Research Center at ISET. She also teaches first and second year courses in Macroeconomics and Open Economy Macro. Since September 2013 she is also serving as an Academic Director of ISET Policy Institute. 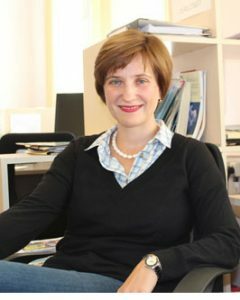 Her research and professional interests are focused on macroeconomic stability and growth patterns in transition economies, systemic crises and financial sector stability, the effect of country’s political institutions on growth takeoffs, and the effects of financial crises on long-term growth patterns. Yasya is also leading a Macroeconomic Policy Research Center at ISET-PI. The core activities of the Center involve regular monitoring of macroeconomic indicators for Georgia, and consulting services for governments, private sector and international organizations.